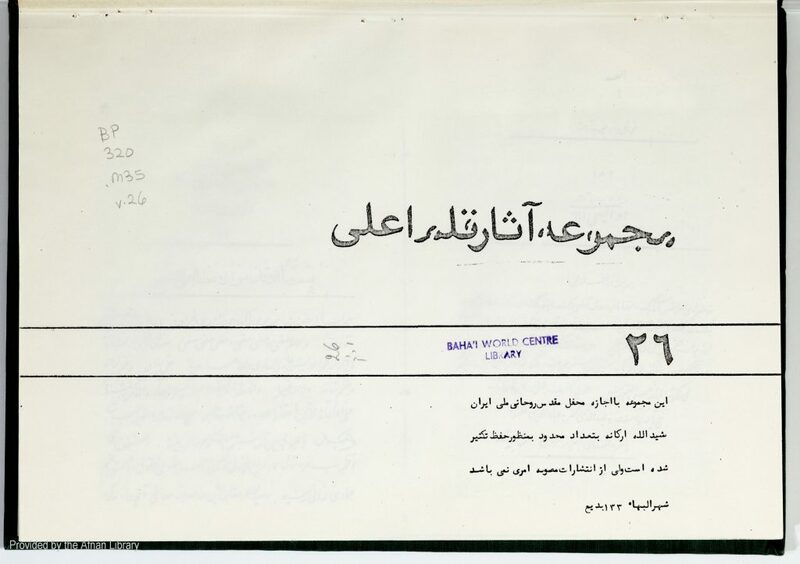 Description: Collection of Tablets of Bahá’u’lláh to individuals named at the start of each Tablet. Index at end of volume, pp. 221-231 of PDF. Appears to be a different manuscript of the same volume as Volume 15. Manuscript, 439 pp. + 11 pp. of Table of Contents (231 pp. of PDF).